As my life grows increasingly multi-dimensonal, I am drawn to books that mirror my interests and experiences. Here are three I’ve recently read that are definitely “Supernal” in nature. 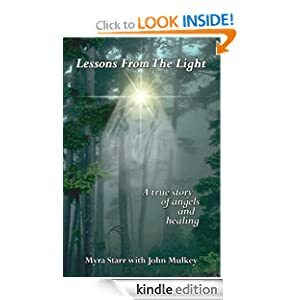 Lessons from the Light: A True Story of Angels and Healing by Myra Starr with John Mulkey. The day she died is the day she began really living. Today Myra Starr is known as a healer and mystic living a quiet life surrounded by nature. Her former occupation as a corporate shark came to an abrupt halt after a Near Death Experience that took her to new realms. Writer John Mulkey does an excellent job of unfolding Myra’s transformation. From her visionary lessons with an angelic guide, Maya, to her beginnings as a healer, Starr strives to offer the best of herself as a healer and teacher. There is a lot of instructional material for spiritual development in the book, that makes it more than a memoir. Mulkey sets an authentic tone that makes for easy reading. Great reading for the spiritual adventurer! Time travel and reincarnation weave together in this novel set in present-day Galveston that flashes back to the weeks leading up to the great Galveston hurricane of 1900. By coincidence I read it as Hurricane Sandy was devastating the North East. 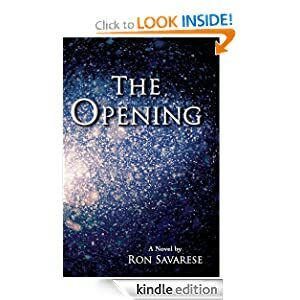 The main character, Sirena, returns to her childhood bungalow on Galveston on a mission of self-discovery. Greeted by the ghosts of her great-grandparents, she confronts her issues of the present and past to find her future. Craver has a lot of elements working here–basically that a person can be living two lives simultaneously. She manages to pull it off without totally confusing the reader. I admired her courage at taking on the complexities of the storylines. An interesting read–especially when a big hurricane is actually making landfall. Joe St. John wanders out into a blizzard and falls through an opening that leads him to amazing, sometimes harrowing places where he encounters the major turning points in his life. Along the way, he revisits his missed opportunities, uncovers his life’s core trauma, and is given mysterious geometrical symbols that hold the key to his future. As Joe’s soul hovers between two worlds he will discover the truth about life and death, and be confronted with the ultimate choice: save his own life, or give it up for someone he loves. The quality of the writing kept me engaged. Sometimes it’s not so much what you say, as how you say it. Savarese has an adroit ability to create mood and characters. The Opening borrows from “A Christmas Carol” and “It’s a Wonderful Life” in theme and throws in a layer of current metaphysical philosophy. An interesting spirit quest for the modern man. 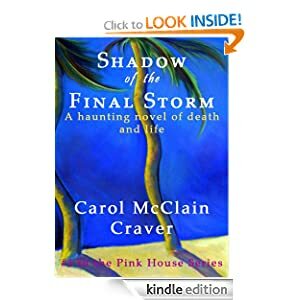 Thank you, Dana, for mentioning my book, Shadow of the Final Storm, in your great blog. The supernatural is fascinating. As Ruthie says, “Our souls are on a journey that our bodies can’t complete. Cheers to you and your readers in you earthly form. Shadow of the Final Storm sounds really good! Ill have to check into that one.